A unique beer festival is born in Atlanta. 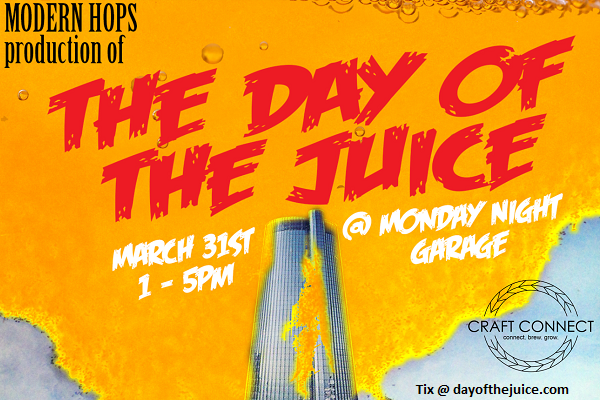 Sponsored by Craft Connect, The Day of the Juice Beer Festival brings the haze craze to Atlantans’ doorsteps. Featuring the juiciest and haziest beers from near and far – many for the first time in Georgia – the festival takes place on March 31, 2018, from 1pm-5pm at the Monday Night Brewing Garage location. All proceeds benefit the PKD and Georgia Transplant Foundations. Modern Hops, a Georgia-based craft beer distributor, is producing the festival. Tickets are available at www.dayofthejuice.com. Festival attendees can expect over 40 breweries pouring 2-3 beers each, with unlimited tastings. Georgia favorites like Creature Comforts, Cherry Street Brewing Co-op, and Monday Night Brewing will be sharing their juiciest offerings alongside esteemed brewers from around the country. Highly-sought examples of the hazy New England style IPA will be on draft, such as Old Nation’s M43 (from Michigan) and Narrow Gauge’s Double Dry Hopped (DDH) Fallen Flag (from Missouri). Other brewers will be sharing unique beers like fruited sours, meads, and some that defy categorization. The New England IPA (NEIPA), primarily brewed and distributed in the New England states, uses hop strains and techniques that impart extremely juicy, tropical flavors like citrus, mango, guava, and passionfruit, without the bitterness of a typical American IPA. Demand for the style has created a so-called haze craze in recent years; however, the highly coveted beers can be hard to attain outside of the northeastern US. Craft Connect and Modern Hops aim to help brewers make these and other elusive beers available everywhere. Note: Entrance is on White St. Use 1000 White Street, SW for more accurate GPS mapping results. Tickets can be purchased at www.dayofthejuice.com. Limited to 500 tickets, admission is $80 and includes unlimited beer tastings and a souvenir tasting glass. Designated Driver tickets are available with a $5 donation. The final tap list will be announced 1 week before the festival. Founded in 2017, Craft Connect is the first Brewery-to-Brewery marketplace that fosters mutual growth through collaboration. 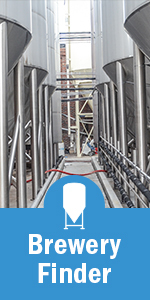 Through a validated network of independent breweries, members can buy and sell capacity, brewing equipment, and materials, or locate collaboration partners, near or far, instantly and securely. The Craft Connect platform empowers brewers to quickly solve common operational challenges and focus more time on what matters most – making great beer! For more information, visit www.craft-connect.com Facebook: @ConnectBrewGrow, Instagram: @Craft_Connect. Eric Levin and Barrett Hoard started Modern Hops with the hopes of changing the way craft beer is distributed in Georgia. Modern Hops offers breweries friendlier contracts, more personal attention, and in-market delivery while the beer is as fresh as possible. The good old boy network of distributors needed to be challenged, and Modern hops is here to be partners with their brewery clients rather than seeing them as only a quantity on an order sheet. Modern Hops handles sales, marketing, and transportation of great, fresh beer to retailers in Georgia. To learn more, visit www.modernhops.com and follow updates at www.facebook.com/modernhops. The PKD Foundation is the only organization in the U.S. solely dedicated to finding treatments and a cure for PKD to improve the lives of those it affects. We do this through promoting research, education, advocacy, support and awareness. Our goal is that one day no one will suffer the full effects of PKD. For more information about PKD and the PKD Foundation, visit pkdcure.org or call 1.800.PKD.CURE (753.2873). About the Georgia Transplant Foundation The mission of the Georgia Transplant Foundation is to help meet the needs of organ transplant candidates, living donors, recipients and their families by providing information and education regarding organ transplantation, granting financial assistance and being an advocate for sustaining and enriching lives every day. Today, Georgia Transplant Foundation is the primary source for transplant patient assistance and support for all solid organ transplantation in the entire state of Georgia.